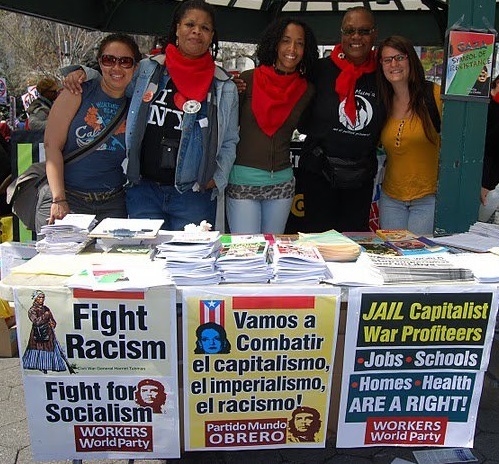 Some of the organizers gather for photo, Feb. 8. 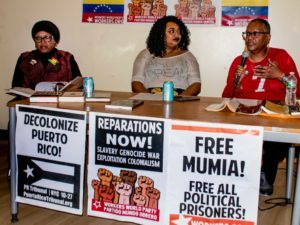 Providence, R.I. — A multinational grouping of women came together on Feb. 8 for the first Women’s Assembly Planning Committee meeting. 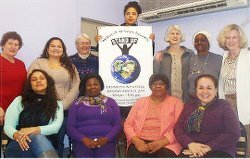 The committee is organizing a Women of All Colors Assembly in Providence on International Women’s Day, March 8. The Women of All Colors Assembly will be a wonderful gathering of amazing women on one day in one location, but it will also be a historic occasion in Rhode Island’s “peoples’ history” in that it will be the founding of the RI Women’s Assembly. RIWA hopes to have significant and lasting impact in the decades to come as a permanent voice for the working-class and progressive women of Rhode island. The RI Women’s Assembly will deal with sexism, the oppression of women, and the social and economic needs of women. It will take its place alongside the RI Rosa Parks Human Rights Committee, the RI Martin Luther King Coalition and the RI Reparations Committee in dealing with racism, the oppression of people of color, and the social and economic needs of people of color and communities of color. RIWA will be a vehicle to fight all necessary day-to-day defensive battles against threats to past victories and gains for women, both social and economic, and to project and proclaim a vision of the new society and new world that is struggling to be born in the 21st century.